Marley Abell, left, holds the Firstar Bank basket donation next to CASC’s Jaime Henson. Firstar Bank has graciously donated a baseball/softball themed gift-basket to give away at Carl Albert State College - Sallisaw’s Homecoming Tailgate event on Thursday, April 11 at the Sallisaw Sports Complex. 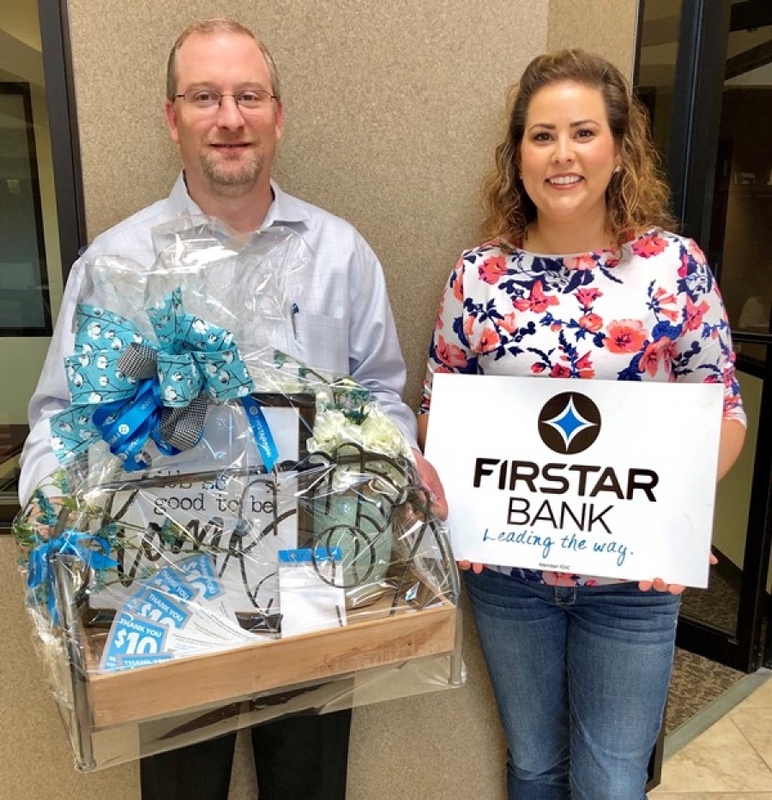 The basket also includes $50 in Firstar Refer-A-Friend gift certificates that can be redeemed at a variety of restaurants in Fort Smith, Muskogee, Roland, Sallisaw, and Tulsa. The basket will be raffled off Thursday evening at the softball game. The CASC Lady Vikings are set to play Rose State College at 2 p.m. and another game at 4 p.m. Following the games, the Lady Vikings will host a softball clinic for Sequoyah county youth girls to practice fundamentals with the team. The Lady Vikings are expecting about 150 girls to attend the clinic. CASC would like to encourage alumni and community members to attend the games and visit the Viking Tailgate.